Are you ready for a no hassle, relaxing camping trip? 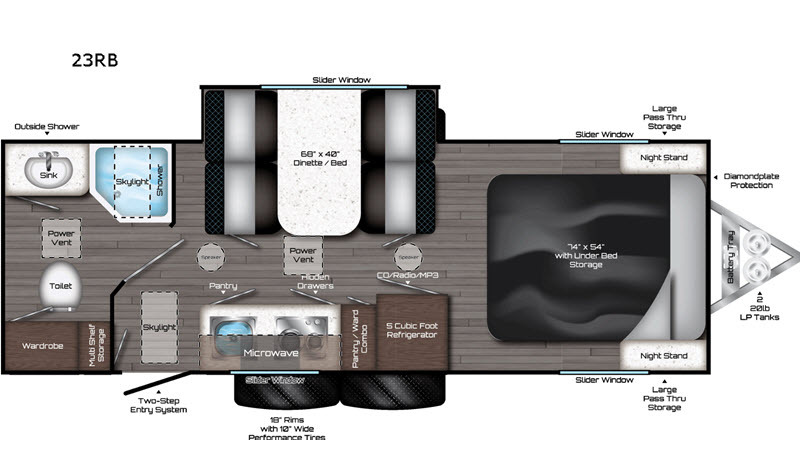 Your family will love this travel trailer! The 68" X 40" dinette/bed is large enough to hold two guests or three little ones. Enjoy a good night's rest on the front full bed with nightstands on either side, plus slider windows for a view of the outside. This unit features a two burner cooktop, and a microwave, plus a pantry/wardrobe for all your kitchen necessities. 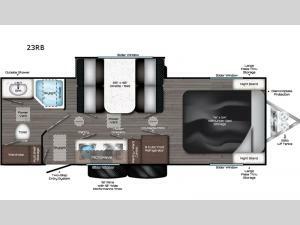 You'll appreciate the rear bath that includes a wardrobe, and multi shelf storage. This model also features a large pass through storage for all your hiking gear or swim tubes.